Background: Another Famous Smoke Shop exclusive was passed to me to give a try, and this one comes straight from the Asylum. 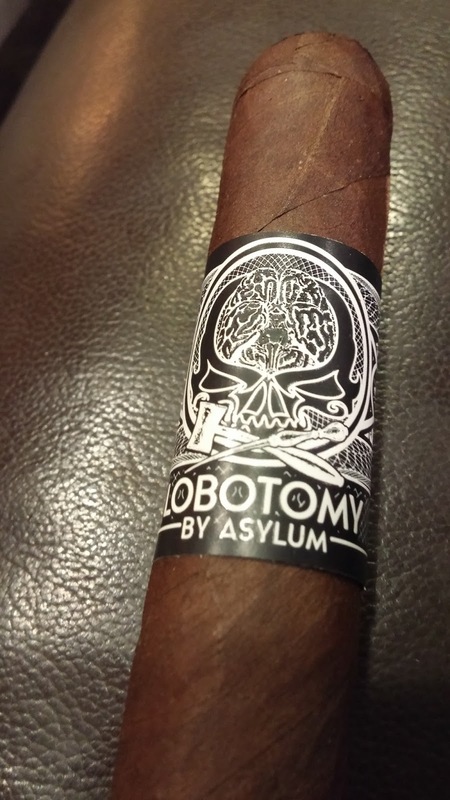 Previous cigars from them have sometimes been a hit, and sometimes been a miss – but I can say for certain we enjoyed the Straight Jacket. So how does this one compare? Appearance (0-20): The Lobotomy, aside from having a pretty cool name, also has a cool band on the stick. A black band with white graphics shows a skull with an intricately made brain at the top. Just below the skull are the instruments to perform said lobotomy. 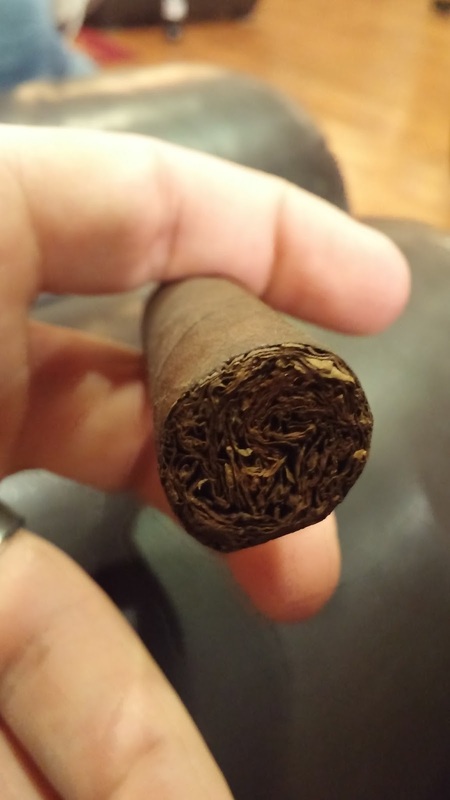 Beneath the label is a nice looking cigar, albeit a little rugged overall. There are some slight veins but nothing to be too alarmed about. It’s a good look. Construction (0-20): Feeling along the stick reveals a couple of small areas that feel slightly loose. It’s a little worrisome, but I am not convinced of any kind of issues just yet. The wrap is pretty tight and the foot looks solid. The cut doesn’t ease my concern though, as there is more debris than I would prefer. Still, I forge on and take a few prelit puffs. It’s actually nearly perfect, despite the other potential issues I mentioned. The initial light goes just fine, and actually the draw was perfect the entire time. Unfortunately the burn was a bit jagged. Strength (0-20): Medium to full and to be honest it strikes that range very well. It actually begins at the high end of the range and slowly tapers down from there. Flavor (0-20): The kinds of things that you think about when looking at a Nicaraguan puro cigar are present here. It opens up with a bit of heavy handed spices, especially a peppery bite. They mix in well with a cedar and leather backdrop that continues pretty well through the first half. As the second half begins, the leather fades back and leaves room for an earthiness and just a slight sweetness. That same flavor remains consistent, along with the pepper and cedar, through the end. 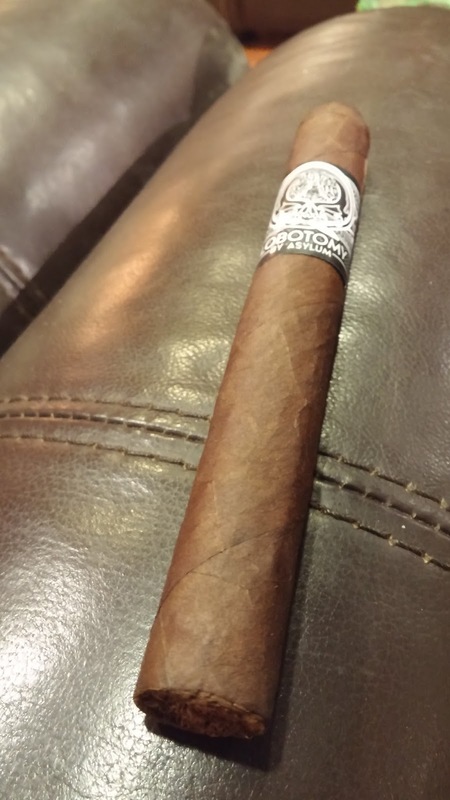 Value (0-20): $4.50 for a single Nicaraguan puro like this is a really nice snag, and the prices drop even further for the 5 pack and box prices…. Overall (0-100): Let’s get right down to brass tacks on this one. Asylum misses the mark on the construction area. 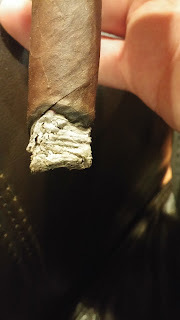 But if you can get beyond that, for the price being under $5, there are some really nice peppery and cedar flavors that are prominent throughout with additional undertones of leather, earth, and sweetness. While not absurdly complex, it’s nicely balanced. The medium to full strength merges in perfectly with the flavor profile too. And when looking around it sticks out - The design of the bands, per most Asylum cigars, is really interesting. I personally plan on snagging a few extra of these because for the price – it’s worth it to keep them around. Solid offering.